The word “nerd” has taken on a bit more of a positive connotation in the past couple of years, with many young’ns carrying the label as a sort of badge of honor. When the word was thrown at me in middle school, it held the meaning of “freak who likes to read all of the time instead of toilet papering local houses on weekends with the rest of us.” College centers around a character who fits the description from my younger years quite closely. 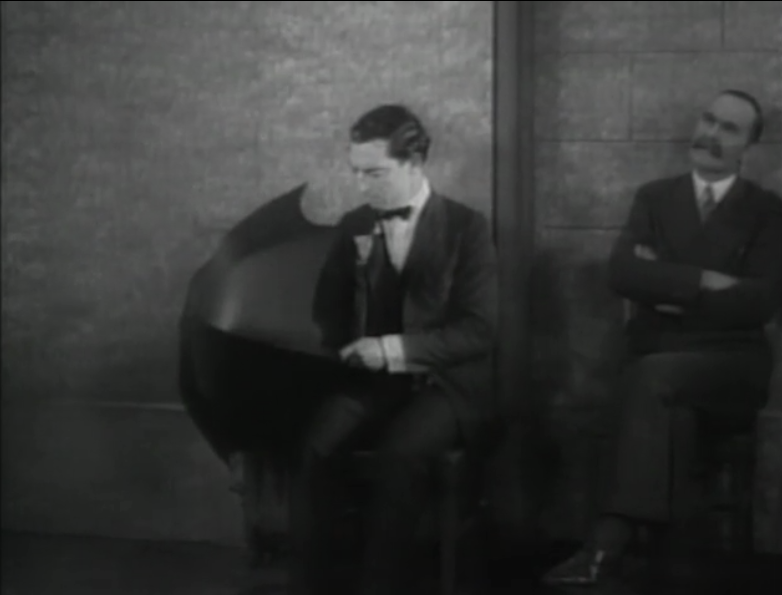 Ronald (portrayed by Buster Keaton) is a bookworm. He loves studying so much that he gives a speech at his high school graduation proclaiming that all sports are useless, and that anyone who chooses sports over studying is a buffoon. As you may guess, the rest of the film details Ronald’s attempts to change his mind about sports and win the heart of the ever-so-enthralling Mary. Ronald’s attempts and mishaps are funny, and this film is very enjoyable to watch. Keaton has, in my opinion, one of the most expressive old Hollywood faces — a face that, in combination with his mannerisms, tends to always lend itself to entertainment and laughs. Rarely am I ever disappointed in his films at all, because even where the plot is repetitive or the mood falls flat, his performance carries through seamlessly. College is not Keaton’s best film, by far, but it is quite lovable in its own way. It should be watched without Keaton’s greater or more well-known films in mind for comparison, because he does still give a grand performance here.